Trash Can Willys is your one stop shop to get rid of and dispose of old mattresses. We will remove and dispose of King, Queen, and Twin mattresses and box springs from wherever they sit on your property! We are a local, Veteran owned company that specializes in getting rid of your old mattresses for the most affordable way possible. Mattress disposal is no longer cheap. 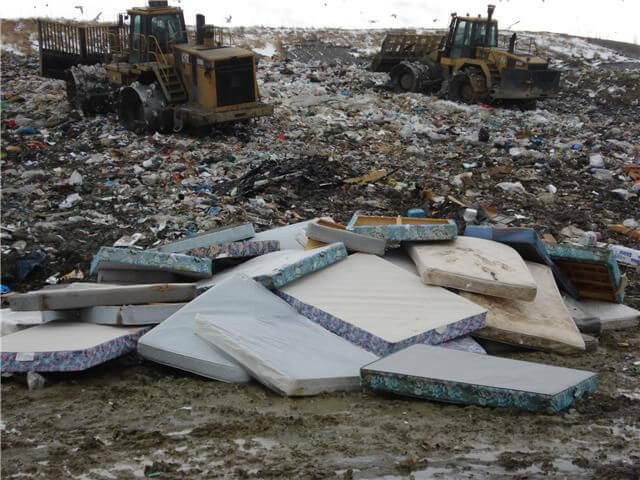 Because of recent EPA regulations all scrap yards and landfills must recycle all mattresses and box springs. These new regulations make the disposal process more costly for the landfills and of course this cost is turned over to the end customer, you. Trash Can Willys tries to elevate this added cost by offering our mattress disposal services at our cost. We recommend all customers that are trying to get rid of their old mattresses try to put together at least a small pile of junk for us to pick up in addition to your mattresses to be disposed of. The idea is, we have to send a crew of 2 out to remove your mattresses, it would only take a few more additional minutes for us to take away a some unwanted items and junk from anywhere on your property. This allows you to get more bang for your buck. Although the cost goes up with the more items and weight we take away, it goes up at a highly discounted rate because our crew is already there for your mattresses. Heres a case study example: customer 1 calls and has us remove a king size mattress and a twin size mattress, say we have to charge them $75 because of the time it takes us to get there, the additional disposal fees for the mattresses and we leave after only 5 minutes. Customer 2 has making mattress, a twin mattress, and a small pile of junk for us to remove at the same time, this customer pays $100 for all of it to be removed because the majority of the cost was us getting there, but since we are already there we can take more items at a lower overall price. Customer 2 paid only $25 more than customer one but essentially got more bang for their buck by disposing of a pile of junk in addition to the main thing they wanted disposed of - their mattresses. 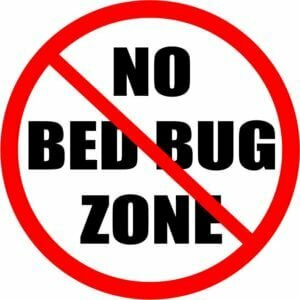 DO NOT GIVE US BEDS WITH BED BUGS WITHOUT A WARNING! Get An Instant Quote Right Now For Your Junk Removal! Request an instant quote today - the fastest way for you to get an idea of what your stuff will cost to haul away!